1. Gibson PG, Chang AB, Glasgow NJ, Holmes PW, Katelaris P, Kemp AS, Landau LI, Mazzone S, Newcombe P, Van Asperen P, Vertigan AE. CICADA: Cough in Children and Adults: Diagnosis and Assessment. Australian Cough Guidelines summary statement. MJA, 2010, 192(5): 265-271. 2. Dicpinigatis PV, Morice AH, Birring SS et al. Antitussive drugs – past, present and future. Pharmacol Rev, 2014, 66(2): 468-512. 3. 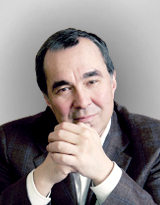 Ильенко Л.И., Гаращенко Т.И., Сырьева Т.Н. и соавт. Противокашлевая терапия у детей. Традиционные и нетрадиционные подходы к лечению. Методические рекомендации. М., 2002. 60 с. 4. Nishino T, Tagaito Y, Isono S. Cough and other reflexes on irritation of airway mucosa in man. Pulm Pharmacol, 1996, 9: 286-292. 5. Chang AB, Landau LI, Van Asperen PP et al. Cough in children: definitions and clinical evaluation. Position statement of the Thoracic Society of Australia and New Zealand. Med J Australia, 2006, 184: 398-403. 6. Chang AB. Cough: are children different to adults? Cough, 2005, 1: 7. 7. Kemp AS. Does postnasal drip cause cough in childhood? Paediatr Resp Rev, 2006, 7: 31-35. 8. Marchant JM, Masters IB, Taylor SM et al. Evaluation and outcome of young children with chronc cough. Chest, 2006, 129: 1132-1141. 9. Мельникова И.М., Удальцова Е.В., Мизерницкий Ю.Л. Кашель у детей: когда и как лечить? Медицинский совет, 2017, 1: 116120. 10. Делягин В.М. Кашель у детей – лечить или не лечить? Медицинский совет, 2018, 2: 82-85. / Delyagin VМ. Children’s cough: to treat or not to treat? Meditsinsky Sovet, 2018, 2: 82-85. 11. Usta GB, Asilsoy S, Durmaz C. The assessment and management of chronic cough in children according to the British Thoracic Society guidelines: descriptive, prospective, clinical trial. Clin Respir J, 2014, 8(3): 330-337. 12. Панякина М.А., Овчинников А.Ю., Коростелев С.А. Постинфекционный кашель – современный взгляд на патогенез и возможности терапии. Вестник оторинолар., 2013, 4: 78-81. 13. Lamas A, Vakbuena M, Maiz L. Cough in children. Archivos de Bronchopneumologia, 2014, 50(7): 294-300. 14. Campanella SG, Asher MI. Current controversies: sinus disease and the lower airways. Pediatr Pulmonol, 2001, 31: 165-172. 15. Lee MG, Undem Basic medications of cough: current understanding and remaining questions. Lung, 2008, 186(Suppl. 1): 10-16. 16. Pavord ID, Chung KF. Management of chronic cough. Lancet, 2008, 371: 1375-1384. 17. Baik I, Kim J, Abbott RD et al. Association of snoring with chronic bronchitis. Arch Intern Med, 2008, 168: 167-173. 19. Vakil N, van Zanten SV, Kahrilas P et al. The Montreal definition and classification of gastroesophageal reflux disease: a global evidencebased consensus. Am J Gastroenterol, 2006, 101: 1900-1902. 20. Chang AB, Lasserson TJ, Gaffney J et al. Gastrooesoephageal reflux treatment for prolonged non-specific cough in children and adults. Cochrane Database Syst Rev., 1996, 4: 433-441. 21. Gibson PG, Vertigan AE. Speech pathology for chronic cough: a new approach. Pulm Pharmacol Ther, 2009, 22: 159-162. 22. Vertigan AE, Theodoros DG, Gibson PG. Wink worth AL Efficacy of speech pathology management for chronic cough: a randomized placebo control led trial of treatment efficacy. Thorax. 2006, 61: 1065-1069. 23. Morice A, Kardos P. Comprehensive evidencebased review of European antitussives. BMJ Open Resp Res, 2016, 3: e000137. doi. 10.1136/ bmjresp-2016000137. 24. Колосова Н.Г., Шаталина Н.И. Противо кашлевые препараты в практике педиатра. Медицинский совет, 2017, 9: 76-79. 25. Faruqi S, Wright C, Tompson R et al. A randomized placebo controlled trial to evaluate the effects of butamirate and dextromethorphan on capsaicin induced cough in healthy volunteers. Br J Clin Pharmacol, 2014, 78(6): 1272-1280. 26. Захарова И.Н., Бережная И.В. Тактика педиатра в выборе препаратов при кашле у детей. Медицинский совет, 2016, 16: 154-160.